The flash flood watch has been canceled for all Hawaiian islands. The National Weather Service in Honolulu has issued a flash flood watch for all Hawaian islands ahead of the potential impact from Tropical Storm Guillermo. Authorities say moisture from Guillermo is expected to move over the state on Wednesday and Thursday, bringing the possibility of heavy rain and flash flooding. The flash flood watch is in effect until 6 p.m. on Thursday and includes, Kahoolawe, Kauai, Lanai, Niihau and Oahu. 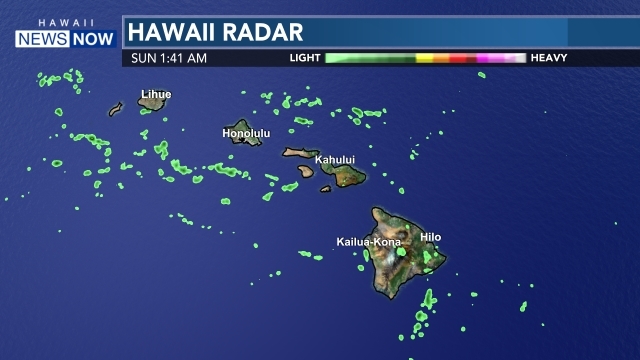 A flash flood watch that was previously in effect on Hawaii Island and across Maui County remains in effect at this hour.